November 1, 2018. Donors have ignited a private fundraising campaign for the coming $13.2 million Madison Public Market on the East Side, pledging contributions totaling nearly $1 million for the project. The law firm Boardman Clark is delivering a lead gift of $250,000, while Dairy Farmers of Wisconsin is providing another contribution to create an interactive space within the market highlighting dairy and the state’s rich heritage of cheesemaking. Those gifts and a few others have the nonprofit Madison Public Market Foundation closing in on the first $1 million of an effort to privately raise $4 million for the project, which will be part of a larger redevelopment slated for land bounded by East Washington Avenue, North First Street and Burr Jones Park. Boardman Clark announced its flagstone corporate sponsorship during a special “Taste of the Madison Market” event, held on October 18, 2018 in Boardman Clark’s main office in downtown Madison. While the firm’s sponsorship includes a financial commitment of $250,000 over the next five years, the firm has also committed to providing programming and other nonfinancial support of the Market’s various community-focused initiatives, such as the Market Ready Program, which helps entrepreneurs build successful business foundations. Dairy Farmers of Wisconsin is partnering with the Madison Public Market to create an interactive space that will showcase everything we love about Wisconsin Dairy and our rich heritage of cheesemaking. This special area of the Market will include interactive exhibits, education and delicious cheese and dairy products from Wisconsin. 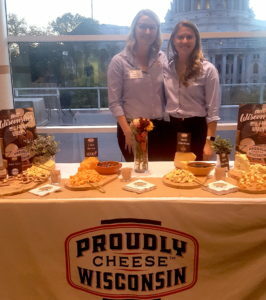 “We’re excited to create a destination within the Market for locals & visitors alike to celebrate the vast array of our state’s award-winning cheese and to honor the dairy farmers in Wisconsin.” -Suzanne Fanning, VP of Marketing Communications for Dairy Farmers of Wisconsin. 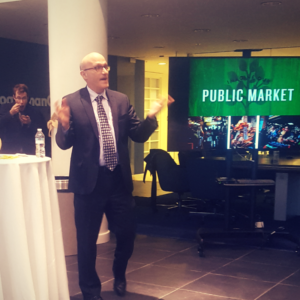 It’s exciting to see the community step up in a significant way to support the Public Market. If you are interested in joining with us to help bring our project to life, you can donate here or call Amanda White at (608) 698-9104 for more information. Naming and other special, unique recognition opportunities are available. After releasing an RFP in August and reviewing 11 different proposals from Madison and around the country, City staff is recommending that the City engage an architecture and engineering team led by Minneapolis-based MSR to complete the design of the Madison Public Market building. The recommendation will go to the Common Council for approval. 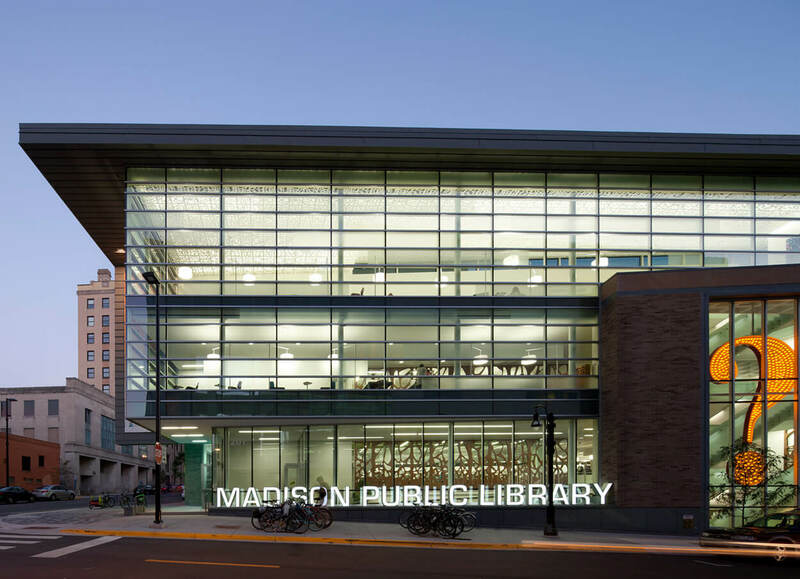 M SR’s past experience in Madison includes the downtown Central Library, the recent Olbrich Gardens expansion, and the newly refurbished Madison Municipal Building. MSR knows how to get important public projects across the finish line while creating vibrant gathering places for the community. MSR’s team includes local experts Saiki Design for landscape architecture and Vierbicher for Civil Engineering. These talented local firms bring knowledge of the site and will help create an inviting design that is authentic to Madison. MSR’s team also includes a Wisconsin-based food service and kitchen design consultant (Steve Stern with Boelter) who will assist with the unique challenges of designing a public building that will include a variety of food preparation and food services uses. 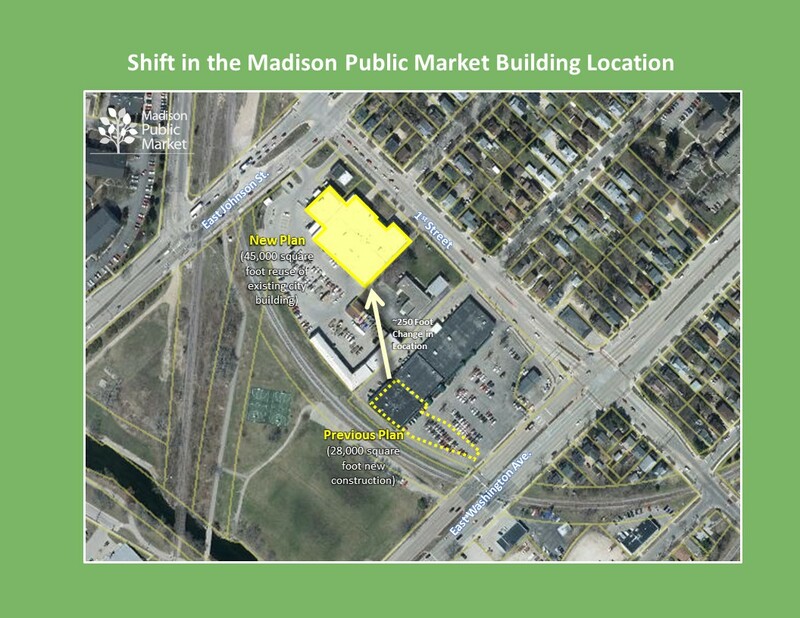 MSR will bring strong expertise and experience to other important aspects of the Madison Public Market vision. The MSR team has reviewed the City’s equity impact analysis and is inspired to help the City implement its vision for a truly inclusive Public Market – a dynamic destination that welcomes the entire community and creates economic opportunity for diverse entrepreneurs. With sustainability as an important focus of the Public Market, MSR has pulled together a team that has expertise in green design. As they have done with previous Madison projects, the Public Market will implement the latest best practices in sustainable construction. The result will be a building that is not only LEED certified, but one that thoughtfully integrates sustainability considerations into every aspect of the design. With the Madison Public Library, MSR was instrumental in integrating unique artwork into the building and creating spaces for programs that build-on Madison’s emerging “maker culture”. 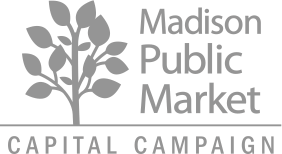 MSR will help uncover unique opportunities to connect Madison’s library system with the Public Market and build on Madison’s maker-based entrepreneurial ecosystem. MSR’s proposal and interview demonstrated a clear understanding of the important of engaging the Madison community in the design process. Their work plan includes numerous workshops with potential public market vendors, community members, city staff, various city committees and other stakeholders. To stay informed on the timeline for the design process, you can check back on our Updates, follow our Facebook page, or sign up for our email news. Locates the Market closer to Burr Jones Field (large urban green space), the bike path, and the Yahara River: We’re already thinking about picnics and food fairs in the park, paddling to the Market, and enjoying outdoor seating with a view of Burr Jones Field! Changes the dimensions of the Market: The new location on the site provides a more interesting architectural design of the building and will provide a long, market hall corridor, similar to other Markets like Boston and Granville. Provides closer access to outdoor parking: The new location is closer in proximity to the 100 surface parking spaces planned for the city-owned property next door. The previous site plan required underground parking which is significantly more costly. The new site plan and three different exterior architectural design concepts can be found here. Please keep in mind that the these designs are CONCEPTUAL and will likely change once the final architectural team is selected. Currently, the City has prepared the RFP for seeking proposals from architecture teams. The City anticipates announcing the RFP yet this summer. We’ll keep you posted on when that RFP is submitted and ultimately, which project team is selected to design and build our Public Market.